Note: This lesson is fairly graphic and may not be suitable for some settings or audiences. So how exactly are you supposed to use the bathroom outside where there are no toilets? It's a reasonable question. A question that many people are embarrassed to ask but everyone needs to know the answer to. The straightforward answer is dig a hole. While this is not necessary in every circumstance, it usually is when going number two. There are a few guidelines to follow to ensure it stays where you put it and doesn't contaminate water sources. The first guideline is to ensure the hole is at least 200 feet away from any water source. This is about 75 paces. Next, make sure the hole is big enough by making it at least 8 inches deep and 6 inches wide. Finally, it is important to make sure the holes thoroughly covered when finished. Even though the convenience of toilets may not be available outside, it is usually OK to use toilet paper. If toilet paper is unavailable, smooth rocks and leaves can work quite well. Bury them in the hole also. It is important to follow proper guideline for disposing of waste because no one wants to find your mess later. We all have a another kind of mess that we can't deal with on our own. It's called sin. We often try to deal with it on ourselves. But the mess doesn’t go away. Isaiah 64:6 says our righteousness is as filthy rags or polluted garments. Our righteousness means how we try to deal with our mess on our own. 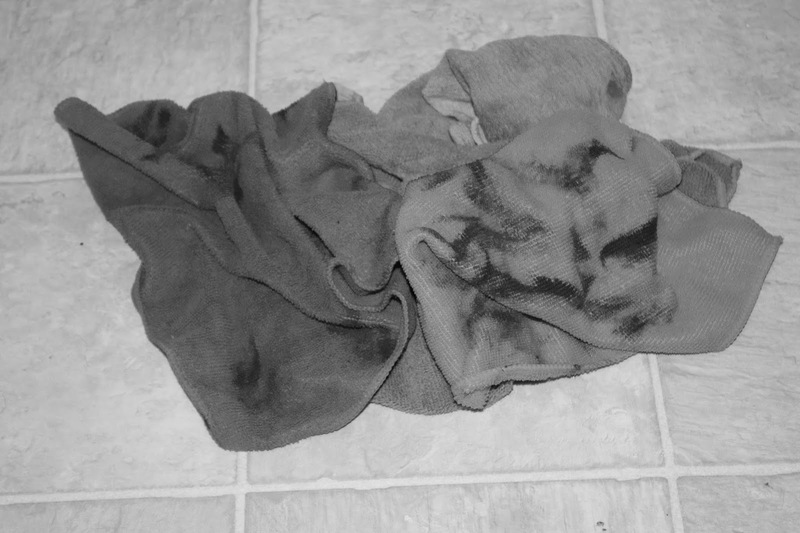 The Hebrew word for filthy rags, iddah, does not mean a dirty cloth like a dish rag.1 It specifically refers to a rag you use to wipe yourself after going to the bathroom. A modern interpretation might be, used toilet paper. The Bible is saying that our righteousness or goodness is as bad as used toilet paper compared to the righteousness Christ offers us. We can never be good enough on our own. We need the cleansing power of Christ to wash away our sin and mess. If our sins are so bad should we even try to be good? After Christ has washed away our sin, what happens if we sin again? Would you like to learn more about this using the bathroom outside? Click this link or find other material about Leave No Trace principles. 1 The Lockman Foundation. NAS Exhaustive Concordance of the Bible with Hebrew-Aramaic and Greek Dictionaries. Accessed June 10, 2016. http://biblehub.com/hebrew/5713c.htm.